Distribution: It is native from southern British Columbia along the coast to northern California. 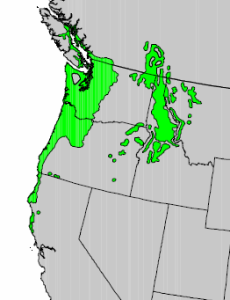 In Washington and northern Oregon, it spreads east to the Cascade Mountains. It is also found in the Rocky Mountains of Idaho and Montana. 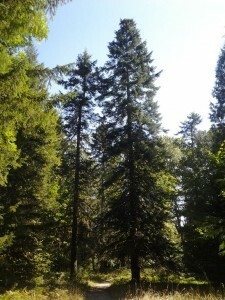 Growth: The tallest known Grand Firs are just over 260 feet (80m). Many of the biggest are on the Olympic Peninsula. 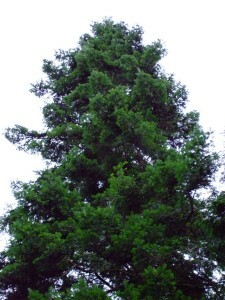 It typically only grows to 135’ to 180’ (40-55m) and is relatively short-lived, living less than 300 years. Grand Fir grows quickly when growing in the open, more slowly in the shade. 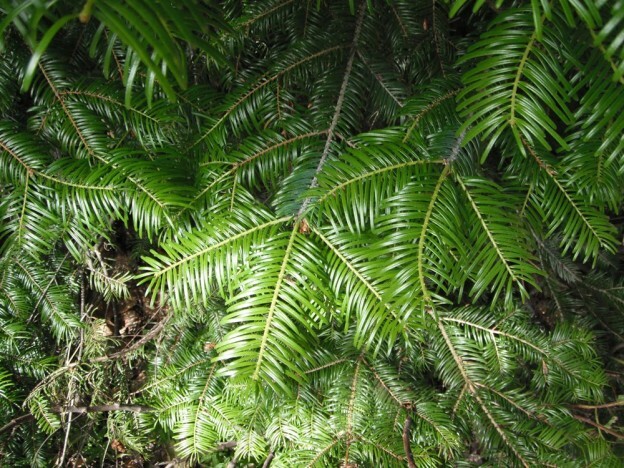 Habitat: It is shade tolerant but less so than Western Hemlock and Western Red Cedar. It grows from moist river valleys to dry rainshadow forests. Wetland designation: FACU-, Facultative upland, it usually occurs in non-wetland but is occasionally found in wetlands. 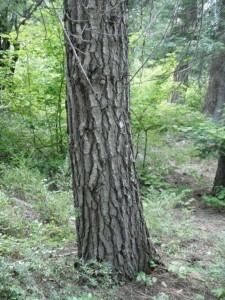 Older bark may be grooved. Diagnostic Characters: All firs are easily recognized by the smooth bark on young twigs and small, round leaf scars left by dropped needles. Older branches may be covered with resin blisters. Cones are borne upright in the tops of the trees. At maturity, the cones shed their scales while still on the tree; therefore it is rare to ever see an intact fir cone on the ground. 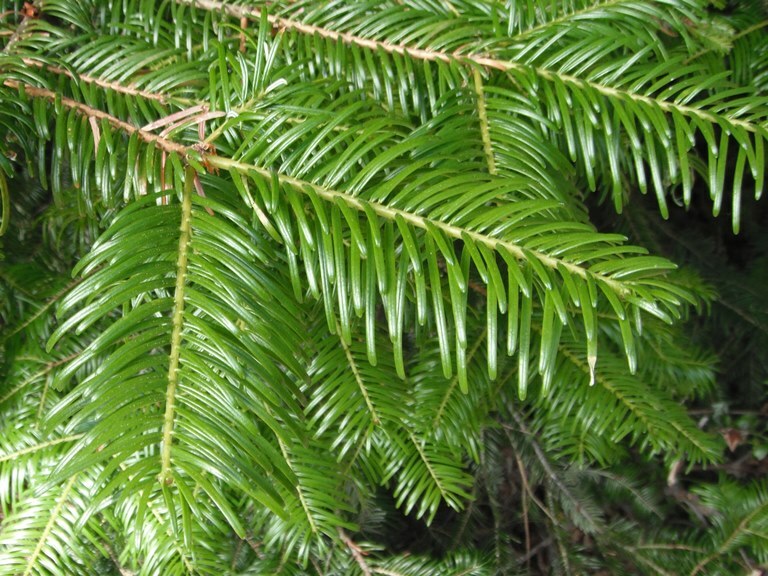 Grand Fir is most easily recognized by its long needles borne horizontally on opposite sides of the twigs. The entire branch will appear flattened so that it has distinct upper and lower sides. 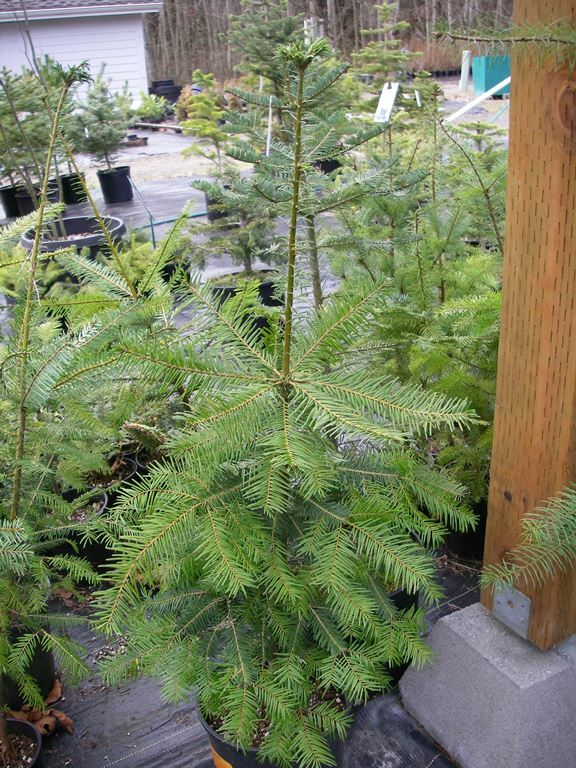 White Fir, Abies concolor, which is native to southern Oregon, California and much of the Southwest, has a similar appearance but has silvery, blue-green needles. They often will hybridize where they are found together. Needles are “two-ranked” and twigs are smooth. In the Landscape: When young, Grand Fir grows in a near perfect pyramidal, Christmas tree shape and is much fuller than its cousin, the Noble Fir, Abies procera. 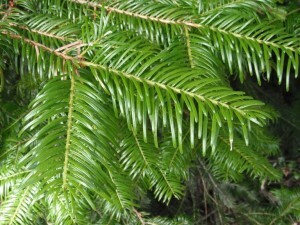 Its attractive shape and its lustrous green leaves make it a glorious addition to any landscape. 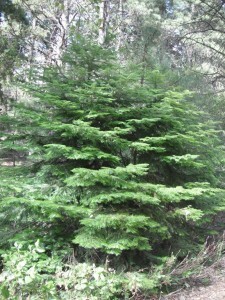 Like most firs, it has a strong, balsamy, “Christmas tree” scent. Phenology: Bloom Period: Late March to Mid-May, in June at higher elevations and inland. Cones mature in August to September; seeds are dispersed a month later. 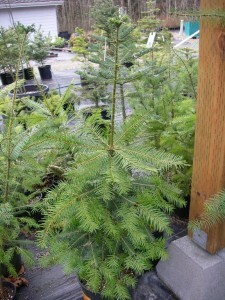 A grand fir at the nursery. Propagation: Stratify seed at 40ºF (4ºC) for 28 days. Fresh seed is best but seeds may be stored up to 5 years. 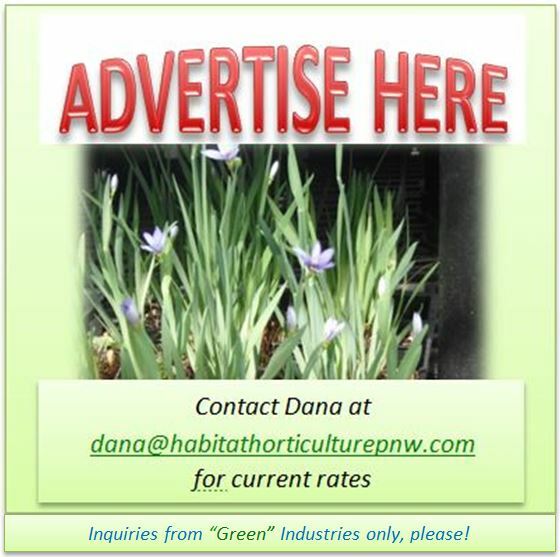 Expect only about a 50% average germination rate. The greatest challenge is collecting the seeds when cones shatter at the top of the trees! Use by People: These fast growing trees are not highly valued for lumber, perhaps because they are not as resistant to decay. The wood is lightweight and not very strong. It is used for paper pulping and other light-duty uses. 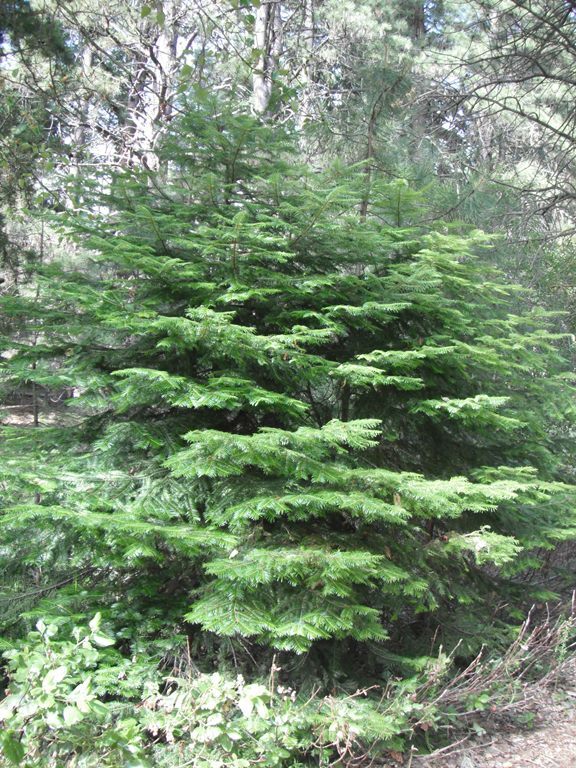 Grand Fir makes an attractive Christmas tree.–See Selecting a Christmas Tree on my sister website, habitathorticulturepnw.com !